The speed of light, c, is an absolute physical constant. No matter where you are in the Universe, or how fast you’re moving relative to something else, the speed of light in a vacuum is always the same. That’s often taken to imply that nothing can travel faster than light, but things aren’t quite so simple. It turns out there are several ways things can travel faster than light, depending on what you mean by a “thing,” “faster-than-light,” and “travel”. One way is to note that the immutable speed of light only applies to light in a vacuum. When light travels through a material, its effective speed is reduced. This is often given by an index of refraction, n, where the effective speed of light is c/n. (And n is pretty much always greater than 1.) For example, when light travels through water, its speed is about 0.75c. Because of this, it is possible for particles to “break the light barrier” in a material while still traveling less than c.
For example, in nuclear reactors electrons are emitted with so much energy that they are traveling at nearly the speed of light c. When those electrons travel through the coolant (water) surrounding the reactor they travel faster than light can travel through the water, thus breaking the light barrier. You’re probably familiar with a sonic boom that occurs when a plane travels faster than sound, which is caused by a shock wave of air. 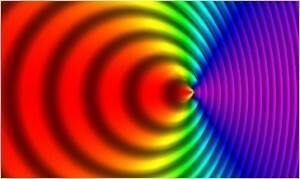 A similar effect occurs when an electron breaks the light barrier. 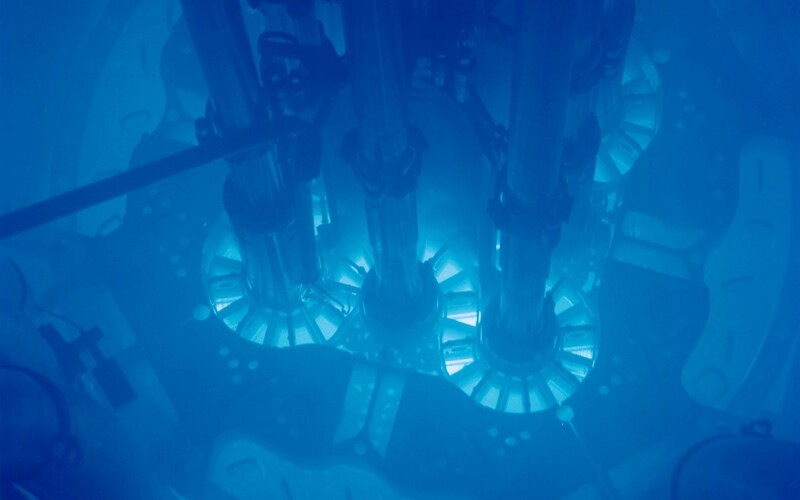 The electron causes an optical “shock wave” known as Cherenkov radiation, which gives nuclear reactors their blue glow. Another phenomenon that can travel faster than light through a medium is sound waves in a star. In the Sun (as with any star) light is produced in its core through nuclear fusion. Traveling at the speed of light, it should be just a two-to-three second journey to the surface of the Sun. But the Sun’s interior is packed so densely with charged particles that light can’t simply travel in a straight line. On average, a photon in the Sun’s core will travel less than a centimeter before colliding with an ion. It is then scattered in an almost random direction. Imagine a photon trying to leave the Sun, but getting bounced in a random direction every centimeter. 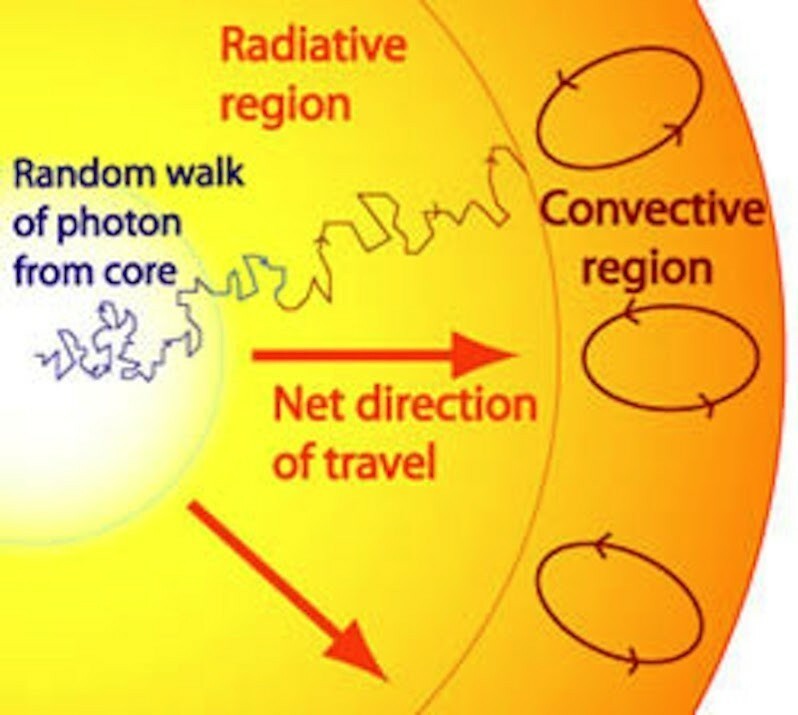 This random walk of a photon through the Sun means that it actually takes about 20,000 to 150,000 years for light to travel from the Sun’s core to its surface. But sound waves propagate in a different way. They are pressure waves that transfer energy through a material rather than transporting material itself. As a result, they aren’t hampered by the ions in the core. Sound waves can travel through the Sun at thousands of meters per second, and they cause the Sun as a whole to vibrate. The study of these sonic vibrations is known as helioseismology, or in the case of other stars, asteroseismology. By analyzing these sounds we can determine things such as the density and pressure of the Sun’s interior. While that’s all fine and good, you might argue, neither of these phenomena are actually traveling faster than light. What about something moving faster than the speed of light in a vacuum? It turns out that even that is possible in a way, thanks to general relativity. Since the 1920s we’ve known that the more distant a galaxy is, the greater its apparent redshift, and thus the faster is appears to be moving away from us. This relation between redshift and distance is known as Hubble’s law. Over time we’ve come to understand that this relation is not due to galaxies racing away like an initial explosion from a single point, but rather it’s due to the fact that space itself is expanding. 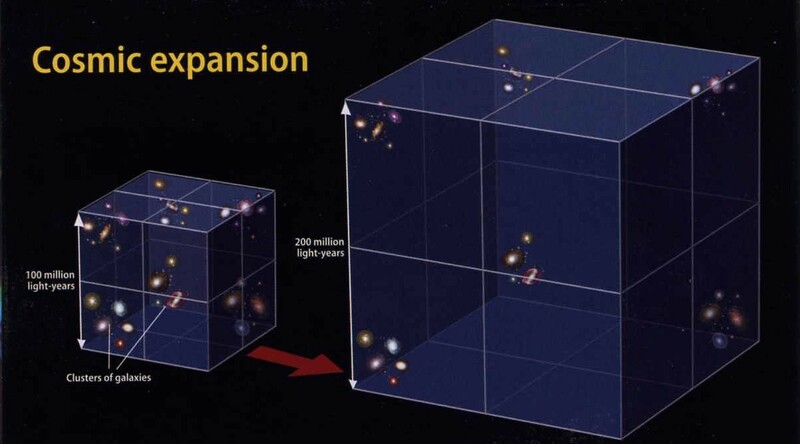 The rate of cosmic expansion is determined by what is known as the Hubble constant. Currently our best measurement of the Hubble constant is about 20 km/s per million light years. This means that two point in space a million light years apart are moving away from each other at 20 kilometers per second. 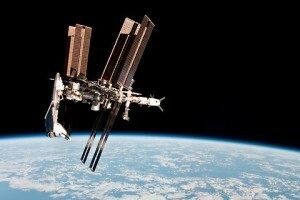 Since all of space is expanding, the greater the distance between two points in space, the faster they move apart. Because of this, if you consider two points far enough apart they will be moving away from each other faster than light. Since the speed of light is about 300,000 km/s, with our current Hubble constant that means that critical separation distance is about 15 billion light years. A galaxy 16 billion light years away is moving away from us faster than light, but that distant galaxy isn’t defying relativity. After all, from that distant galaxy’s perspective we are moving away from it faster than light, speed being relative and all. The key point to remember is that this relative motion is due to cosmic expansion, not galactic motion. Relativity requires that nothing can move through space faster than light. It places no constraint on the expansion of space itself. 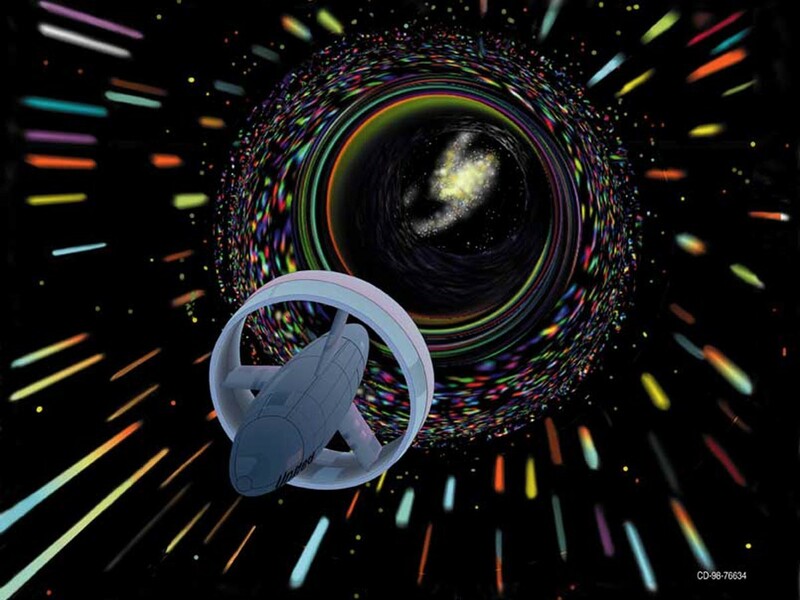 Perhaps the most bizarre faster than light interaction involves quantum entanglement. Suppose we have a mischievious mutual friend. She decides to prank us by sending each of us one member of a pair of gloves. She packs each glove in a box and mails one to each of us. We find out about the prank, so we both know that we’re getting one glove of a pair. But until either of us open our respective box, neither of us know which glove we have. Once the box arrives at your door, you open it up, and find you have the left glove. At that exact moment, you know I must have the right glove. This is the basic idea of an experiment known as the Einstein-Podolsky-Rosen (EPR) experiment. For gloves it isn’t a big deal, because gloves are not quantum things. In quantum theory, however, things can be in an indefinite state until you observe them. It would be as if your boxes contained a pair of something (gloves, shoes, etc.) but it is impossible to know what specific something (left/right, spin up/down, etc.) until a measurement is made. In quantum theory we would say the boxes contain a superposition of possible things, and the outcome only becomes definite when observed. This means the outcomes of opening our boxes are entangled. Knowing the contents of one box tells us the contents of the other. We’ve actually done this experiment with photons, atoms and the like, and it really works. The experiments we’ve done have pretty much eliminated any possibility for things like hidden variables or pre-determined results. Usually this is done by waiting until the two “boxes” are sent on their way, and then using a random number generator to determine whether your test for “gloves” or “shoes” or whatever. Since the choice of what to look for is random, and that choice is made after the experiment has started, there is no way for the system to have advance knowledge of the outcome. In principle, you could do an EPR experiment across billions of light years. One proposal is to use quasars as a trigger to determine what observation each person makes instead of a random generator. If we use the standard Copenhagen interpretation of quantum theory, an observation of one state “collapses the wavefunction” of the entangled system. This collapse occurs instantly, and thus is clearly faster than the speed of light. But this again doesn’t violate relativity, since information about the system doesn’t travel faster than light. In other words, your knowledge about the measurements the other observer will make in no way gives information to anyone faster than light; the observations they can make will all be unaltered from their indeterminate state until they receive information from you about what’s in their entangled system. For an actual experiment of entangled photons, each observer has to decide what to measure (typically something like polarization). If I decide to measure vertical polarization and get an up result, the only thing I know is that if you also measured a vertical polarization you would get down. If you measure a different orientation, say horizontal, I don’t know what your result will be. Even if we agree ahead of time to both make vertical measurements, knowing the other’s outcome doesn’t tell us anything, because the outcomes are random. What this all means, unfortunately, is that there’s no way to use this to send a faster than light message. Lots of things can travel faster than light, and it’s pretty straight forward to create devices that do this, but that’s because relativity doesn’t prevent FTL travel. What it really forbids is the transfer of information or objects through space at a speed greater than that of light in a vacuum. So — unless we master the extreme curving spacetime and passing objects through wormholes — it will still take us years, or centuries, or millennia, to get to the stars. Hmmm, say 2 people are travelling at the speed of light, one standing 10 m. ahead of the other. Would the one in front be able to see the other? So. Do you think that the situation you discribe is possible ? Relative to each other, they’re not moving at all, so they’d look to each other the same as if they’re not moving at all. Relativity only makes a difference in reference frames that are moving relative to each other. The principle of relativity is that there is no one true reference frame, that the laws of physics should be the same in any reference frame, so as far as relativity’s concerned, it also doesn’t even make sense to say “2 people are travelling at [some] speed” devoid of context. What are they moving at that speed relative to? Some city? Some planet? Some star? Some galaxy? Some arbitrary other frame of reference that isn’t associated with a large mass? To give an example, you are currently moving at the speed of light relative to the reference frame of the light entering your eyes right now, but so is everything around you, so there isn’t any issue observing those items around you. Rookie alert! I was always baffled at why light was responsible for setting the ultimate speed in the universe until I realized that perhaps the ultimate speed itself is set by laws of nature and light just happens to be the only “thing” capable of maxing out the law. Is that a correct way to understand the ultimate speed limit? It’s not really a function of light itself rather light is simply the only measurable thing that hits up against the limit? The energy required to accelerate something is proportional to its mass. According to Einstein, to accelerate something with even minimum mass (like an electron) to c you’d need infinite energy. Being photons the only thing with no mass, they’re also the only thing that gets to travel at c. Hope I helped. Also, if I’m wrong somewhere, please correct me. You are always blowing my mind, Brian. Spot on, the only explanation of quantum entanglement that I didn’t have to slow down and digest for so long, I begin to lose interest in the subject, haha. 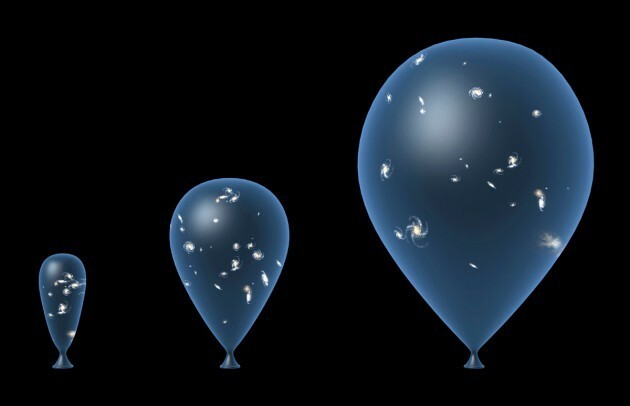 There may be areas in space, inner or outer than contain something other than a vacuum if so could a object travel in that space faster than light? All of space may not be a vacuum. I love it… using stuff we don’t understand to explain things we can’t do. Perfect!